Ever since the Mueller report was submitted, the Left has gone insane. I mean there are some who understand the political reality. 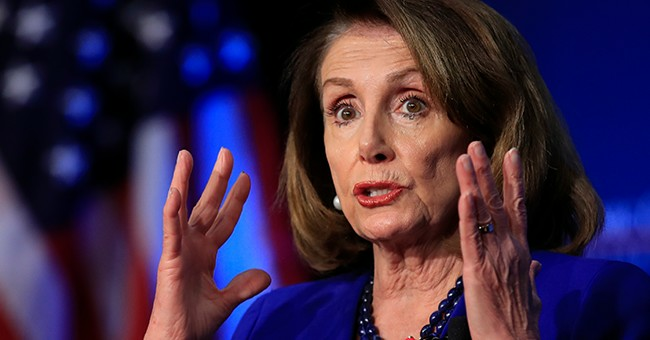 For all her faults, and there are many, Speaker Nancy Pelosi (D-CA) knows the jig is up. As much as she would like to remove Donald Trump from office, it’s simply cannot be done. For starters, the Republican Senate would never sign off. Second, there’s nothing impeachable. Other than beating Hillary Clinton, Trump hasn’t done anything illegal. There is no evidence of Russian collusion. The summary of the report distributed by Attorney General William Barr confirms what half the country knew already: there was no collusion. For the sane caucus, it should be a moment where we all move on from this witch-hunt, which goes deeper than just Democrats acting like idiots. We have top DOJ/FBI officials discussing ways to remove Trump via the 25thAmendment. We had FBI officials, including a top counterintelligence agent, exhibiting gross unprofessionalism and bias while handling two of the most politically sensitive investigation the bureau had undertaken in recent memory: the Hillary Clinton email probe and the investigation into Russian collusion that was eventually taken over by Special Counsel Robert Mueller. And yes, we’re talking about Peter Strzok and Lisa Page, who exchanged tens of thousands of text, many of them anti-Trump, where there were weird conversations about an “insurance policy against Trump. The Democrat-media complex that peddled a straight-up lie for years further fueled this circus. At the very least this was a widespread case of the media peddling a fraud. Now, accountability has to be meted out but that won’t happen. The appalling arrogance of an industry that just cannot handle this president or the fact that Clinton lost. If anything, the Mueller report exposed the Trump dossier, another artifact of the Russian collusion cult, as a total fabrication. Most of it was already unverified. Now, we can safely say that the paper it was written on has more utility being used to clean oneself after using the bathroom. We’ve seen an extraordinary doubling-down on some of the biggest myths about this whole fiasco. Rep. Eric Swalwell (D-CA) is a prime example. Liberal pundits and TV hosts now accuse Attorney General Bill Barr of a “coverup,” and meditate on the cosmic meaning of “exoneration.” Former FBI Director James Comey claimed on NBC that the Mueller report was deficient. Liberal legal analysts explained that Mr. Trump is still guilty of all kinds of counterintelligence sins outside Mr. Mueller’s jurisdiction. Mrs. Pelosi’s bigger problem is her members. Michigan’s Rashida Tlaib responded to the Mueller report by introducing a resolution for impeachment. California’s Eric Swalwell went on air to insist—no kidding—that the debunked Steele dossier was “factual.” Intelligence Committee Chairman Adam Schiff—in response to a call by every committee Republican for his resignation—doubled down on his irresponsible claims, arguing that there is clear “evidence” of collusion. It would be one thing if the Bitter Enders were few or marginalized. But they make up a significant portion of the Democratic House majority. Hailing primarily from liberal districts, they need to worry not as much about re-election as about furious progressive activists, who for two years were promised conspiracy, obstruction and impeachment, and still demand it. The presidential candidates have a similar interest in whipping up those crowds with Trump-collusion talk. Mr. Schiff, meanwhile, holds a powerful post, drives headlines, and has a reputational interest in carrying on. Chairmen Elijah Cummings and Jerry Nadler, of the Oversight and Judiciary committees respectively, are attempting to pursue broader investigations—of Trump finances or supposed corruption. But one interesting legacy of the Mueller probe is that any investigation into Mr. Trump—no matter what the topic—may come across as more of the same. And Mrs. Pelosi has little ability to rein in these senior members. The report comes out this month, and we can all revel in watching the Left eat crap again. This has been a long and annoying saga, but knowing the end game makes it all worth it. The Democrats are wrong. We know they’re wrong. And watching them crash into the wall and bursting into flames with this Russian collusion nonsense is very satisfying in the end.